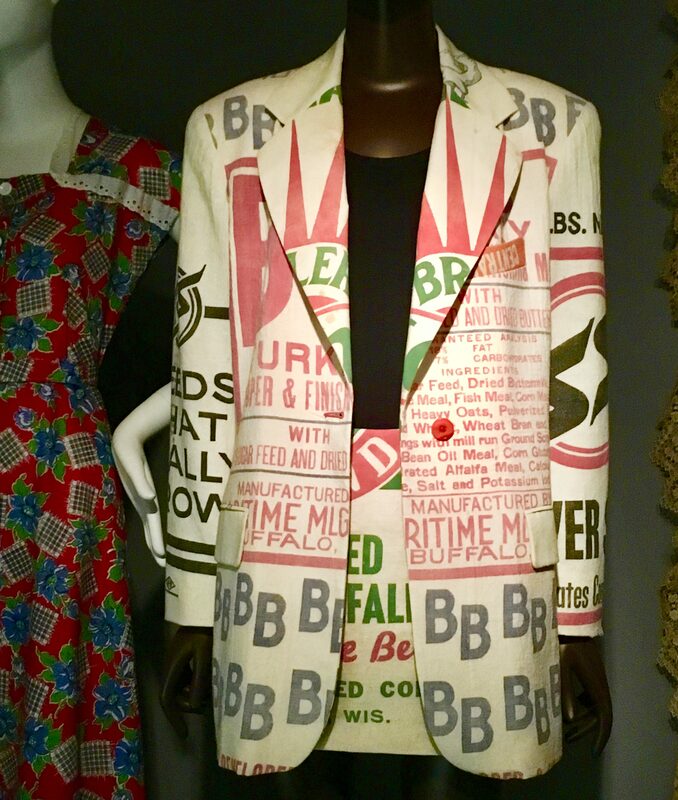 The making of dresses from feed sacks or flour bags began in the 19th century, but the idea is most closely associated with the1930s, when the Great Depression necessitated resourcefulness. Knowing that homemakers used the cotton sacks to make clothes and other household items, manufacturers began printing them with cheerful patterns. 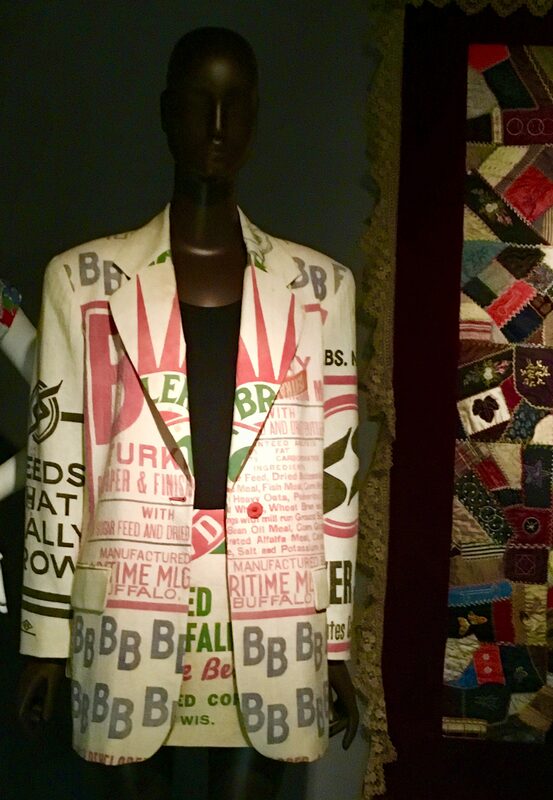 In 1994, American Designer Lawrence Scott constructed this stylish suit from large pieces of old feed sacks. He chose to utilize traditional feed sacks rather than the fashionably printed, mid-century bags in order to call attention to their origin. Scott’s design exemplifies the increasing importance of recycling during the 1990s — a notice that extended to fashion production.